In September 2017, the ACT Government notified local residents in O’Malley of its intention to amalgamate and sell vacant land identified on the Indicative Land Release Program. See site map and community updates below. As part of the amalgamation, an application to close the car park on Pindari Crescent was lodged with the Office of Surveyor-General (OSG). On 5 January 2018, the OSG publicly notified the intention and a link to the notice was emailed to those who registered for project updates. During the notification period, residents raised several issues about the proposed sale and closure of the car park, including the original parking and traffic report. EPSDD has determined that the report did not provide sufficient certainty and has cancelled the road closure application. A new independent parking and traffic report will be undertaken in late 2018 to consider the issues raised during the engagement process. The new report will be made available online and emailed to those on the mailing list. To receive project updates, email epsddcomms@act.gov.au. What can be built on the site? The site is zoned CFZ and development on the site is restricted to developments permitted under the Territory Plan (see list below). In 2012, Territory Plan Variation 302 saw a further restriction added to the O’Malley Precinct Code which prohibits the development of residential aged care and supportive housing. On Friday 15 December 2017, residents surrounding Block 23 Section 31 O’Malley attended an information session about the release of the site for development. A number of issues were discussed, including the impact on surrounding residents and amalgamating the site with Block 24 and adjacent car park. In identifying sites for release, the Environment, Planning and Sustainable Development Directorate (EPSDD) undertakes a range of research, including community needs assessments and other quantitative analysis, to determine the types of services and number of places needed for a growing community. With limited land availability and a current population growth of 6000 people per annum, the ACT Government identifies community needs against available sites that benefit both the immediate and the broader community. The CFZ site identified in O’Malley has been identified on the Indicative Land Release Program 2017/18-2020/21. 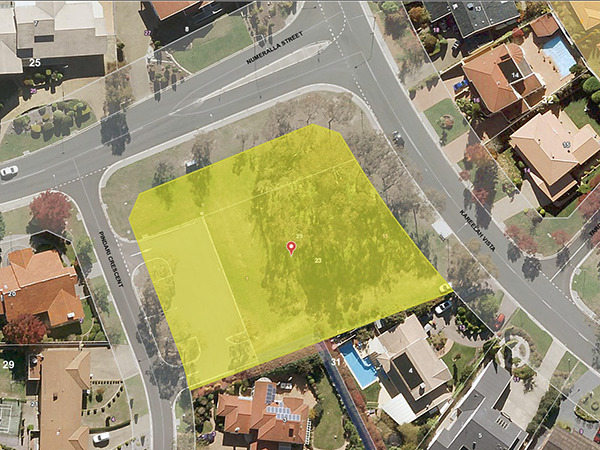 Development of the site is restricted to specific community facilities (listed above) under the Territory Plan. Additional restrictions are enforced under the O’Malley Precinct Code which prohibits commercial accommodation, such as supportive housing (which includes public housing) and residential aged care. EPSDD has determined that development of a community facility on the amalgamated site in O’Malley would benefit the broader community, which includes the Woden district. Preliminary planning determined that the site was suitable for CFZ uses and subsequent due diligence investigations, using a hypothetical scenario of a child care centre, supported that such a development was well within the capability of the site’s existing infrastructure. After the site is sold, and before development can happen, the successful purchaser/s will be required to lodge a development application to the EPSDD. The application will be publicly notified and the community can have their say on the proposal (Having your say on developments in the ACT). To receive approval, the proposed development will need to meet the rules and criteria imposed under the Territory Plan and meet the objectives of the O’Malley Precinct Code. EPSDD will continue to keep the community informed of the sale progress of the site, including the sales method, by updating this web page and emailing the distribution list. To receive project updates on this site please email epsddcomms@act.gov.au.